My name is Lucas Machowski. I have been Kite-Boarding for 8 years now and for the past year I have been Riding The Swell Kite. I have used Swell size 6,7 & 9. 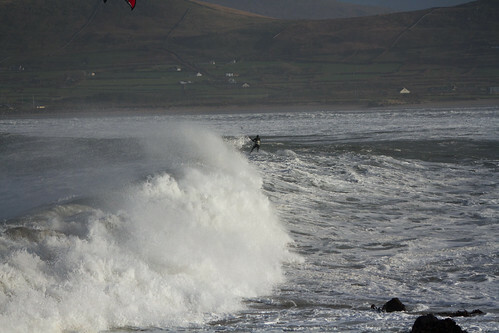 My favourite are 6 & 7 as they suit my style of wave riding and the Irish conditions. I ride strapless and The Swell allows me to have full control in all conditions from wind speeds of 15 to 50 knots. The Kite has great Depower , is Quick turning and it creates the perfect drift. I like the design of The Bar as it gives me strong control of The Swell. The Bar comes with 3 different size lines. I am riding The Swell with short lines in cross on shore conditions and this gives me the speed I need to turn fast whereas when I am riding in cross off shore conditions I just park The Kite in one place and it gives me the perfect drift. I have been out in all conditions including 20 raging storms and the durability of The Swell proves they are well built Kites. The Swell is available in sizes 5,6,7,8,9,10.5 & 12. 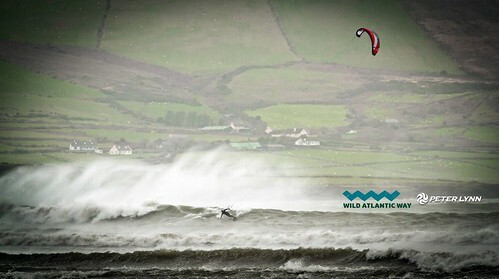 If any of you are around Co.Kerry in Ireland give me a call and we can go for a session ! 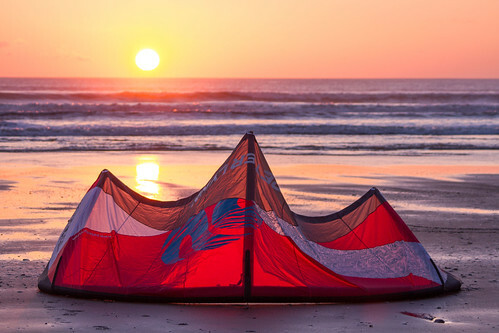 I would highly recommend the Epic Surf Kites. I've had the 5 & 8 meter for 6 months, live in the Outer Banks, so we get to kite a lot. If the forecast is anywhere from 15 (low end) - 35 (high end) I don't have to think, I just rig the 8m. The 8 meter has more range than any kite, I've ever had. Have been out in 20-30 and then had it ramp up to 35 and the Surf 8m worked amazingly well. I was still to ride head high waves smoothly without being pulled off. The surf kites have great drift, turn on a dime for down looping and so far the construction is bullet proof. The other benefit is great customer service, how many owners actually will get back to you. Dimitri will. rebelluk wrote: My name is Lucas Machowski. I have been Kite-Boarding for 8 years now and for the past year I have been Riding The Swell Kite. That's some sweet wave pic's you have there! 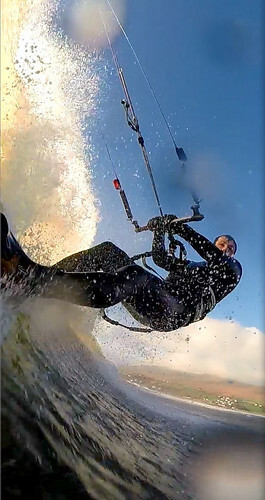 clam111 wrote: I would highly recommend the Epic Surf Kites. I've had the 5 & 8 meter for 6 months, live in the Outer Banks, so we get to kite a lot. If the forecast is anywhere from 15 (low end) - 35 (high end) I don't have to think, I just rig the 8m. The 8 meter has more range than any kite, I've ever had. PS I do want to fly this miracle kite that has a range of 15-35 knots. Does it boost as well? PSS Its way too hard to send demo kites to me. ..... . . . too many oceans between us. ... too much international freight. Hey Plummet (aka conspiracy theory), Who doesn't know Dimitri? I've been riding for 12 years, 53 years old, only strapless, can ride ANY equipment I want. I really do love the surf kite. I also use a Vanguard 5'2 not Epic surf boards. Let me tell you the Epic surf 8 with the Vanguard in head high waves is about as fun as it gets. For me, I want a surf kite to be able to drift, turn on a dime and have good range, boosting is the last thing I want. I do jump a lot strapless and the Epic kite can jump. The Renegade I would think jumps better. I only get on the forum if I really like something. BRM cloud II, 9m is so far the best wave kite I have tried. There are plenty other kites that are OK or even good, but this one is in a class by itself. clam111 wrote: Hey Plummet (aka conspiracy theory), Who doesn't know Dimitri? I've been riding for 12 years, 53 years old, only strapless, can ride ANY equipment I want. I really do love the surf kite. I also use a Vanguard 5'2 not Epic surf boards. Let me tell you the Epic surf 8 with the Vanguard in head high waves is about as fun as it gets. For me, I want a surf kite to be able to drift, turn on a dime and have good range, boosting is the last thing I want. I do jump a lot strapless and the Epic kite can jump. The Renegade I would think jumps better. I only get on the forum if I really like something. Well I guess I am cynical of claims of massive wind ranges. My experience is they simply are not true. 15-35 knots?..... 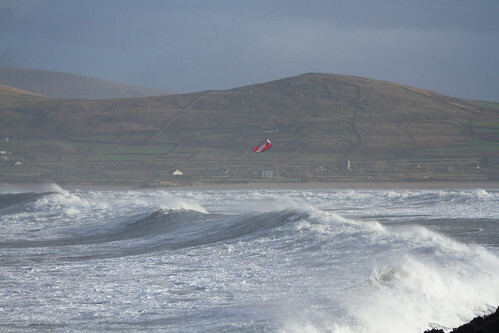 No way in hell you can get a enjoyable experience on one kite, one board riding waves in that range. 15 will be grovelling to stay upwind or doing the walk of shame and 35 will be balls to the over powered and trimmed to the max. Neither balls to the wall or grovelling is a fun experience. The other reality is that there is no secret recipe that kite makers can do with an lei's to give their kite a wind range far greater than the next kite brand or far better performance. It physics.... it wont happen. 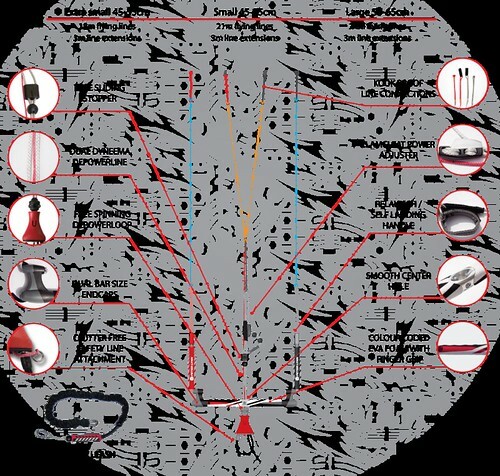 The Epic 8m will be similar in power and wind ranges to other 8m Wave kites. Will ride in a similar way with similar attributes to the others. Sure there will be slight differences. But they will be slight. Not massive. Some people will prefer the slight differences from one brand to an other. Don't take things so literal and pour yourself a tall glass of shut the f#ck up. If it's blowing 12 - 18, I'll use the 12 but it can handle to low 20s, if the forecast is 15 - 25, I'm all over the 8, but it can handle in low 30s. Blah, Blah, Blah. It does have more range than other kites I've tried. Instead of grandstanding go try one a Epic Surf,then open your pie hole. clam111 wrote: Instead of grandstanding go try one a Epic Surf,then open your pie hole. Can't. There's no epic agent in NZ. Plus its just too hard sending demo's back and forth between countries. Tried before.